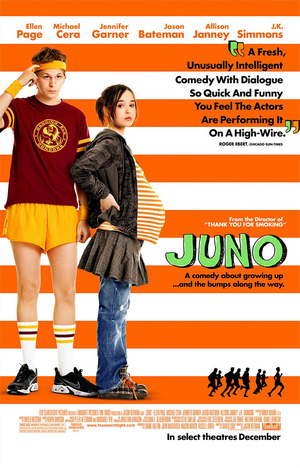 The box-office hit JUNO certainly put a comical spin on the teen pregnancy of 16-year-old Juno (actress Ellen Page) with a cast of loveable characters and witty dialogue that made viewers want to be a part of their movie family. Life lessons and quick comebacks are aplenty making for a movie that has something for everybody, and soon, a movie you can own! The April 15th DVD release makes for the perfect time to pick it up if you haven’t already seen it, Check it out! I doubt you’ll be disappointed!